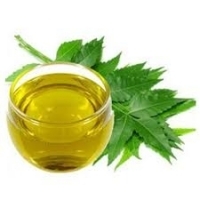 Browse neem-oil suppliers by country and region. 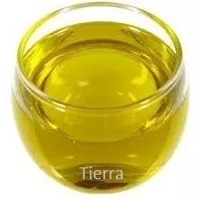 Tierra Overseas is manufacturer and exporter of high quality neem oil in India. Neem oil is a botanical extract from the fruits and seeds of neem (Azadirachta indica), an evergreen tree which is endemic to the Indian subcontinent and has been introduced to many other areas in the tropics. It is the most important among the commercially available products of neem for farming. Biological Source : Azadirachta indica Family : Meliaceae Neem oil varies in color; it can be golden yellow, yellowish brown, reddish brown, dark brown, greenish brown or bright red. It has a rather strong odor that is said to combine the odours of peanut and garlic. It is composed mainly of triglycerides and contains many tri terpenoid compounds, which are responsible for the bitter taste. It is hydrophobic in nature; in order to emulsify it in water for application purposes, it must be formulated with appropriate surfactants. Neem Oil Extraction method The oil can be obtained through pressing (crushing) of the seed kernel both through cold pressing or through a process incorporating temperature controls 40 to 50* C. Neem seed oil can also be obtained by solvent extraction of the neem seed, fruit, oil, cake or kernel. In India neem oil is majorly extracted from the remain of the seed cake using hexane. This solvent-extracted oil is of a lower quality as compared to the cold pressed oil. PPM : 300, 1500, 3000, 10000, 30000, 50000 Formulation : Emulsifiable Concentrate (EC) Eco Friendly Extremely safe to mammals, human beings, animals, natural parasites, predators, non target insects, fishes, birds, etc. Classified as Class – IV, low hazardous (green label) pesticide. No phytotoxicity and exempted from residue analysis. Azadirachtin (Neem Oil) Tierra Overseas is manufacturer and exporter of high quality neem oil in India. Neem oil is a botanical extract from the fruits and seeds of neem (Azadirachta indica), an evergreen tree which is endemic to the Indian subcontinent and has been introduced to many other areas in the tropics. It is the most important among the commercially available products of neem for organic farming and medicines. Neem oil varies in color; it can be golden yellow, yellowish brown, reddish brown, dark brown, greenish brown or bright red. It has a rather strong odor that is said to combine the odors of peanut and garlic. It is composed mainly of triglycerides and contains many tri terpenoid compounds, which are responsible for the bitter taste. It is hydrophobic in nature; in order to emulsify it in water for application purposes, it must be formulated with appropriate surfactants. We produce 100% Natural Neem Seed Oil, Raw filter Neem Seed Oil, Pharma Grade Neem Oil, Micro refined Neem Seed Oil and also product according to PPM demand of our customer, We also produce small customized packing for national and international customer brand with logo and products description. Short on time? Let neem-oil sellers contact you. Cold pressed neem oil, neem cake and all neem products..
Coir, coco peat, neem oil, neem cake, chillies, substrates, growing medium, fertilizer, pesticides, hydro mulch, hydroponics, organic fertilizer, potting medium, horticulture, agriculture, nursery, plant manure, bio compost, vermi compost, coir pots, green house, pest control, garden, grow bags, seeds, spices, soil conditioner, orchid mix, biodegradeable nursery pots, azadirachta indica, nim, oleo de nim, neem fertilizer, pet, pet products, cat litter, pet grooming, pet shampoo, litter box, pet care, dog shampoo, horse, equine, cat and dog. Neem oil, neem seed, neem cake, cereals and pulses, basmati rice, non-basmati rice, red chilli. Eco Emissions Xchange Pvt. Ltd.